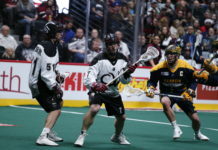 The Colorado Mammoth get a strong performance from Dillon “The Wall” Ward and two put-away goals from Jacob Ruest late to power the Mammoth to a 11-7 win over the Toronto Rock in Toronto. The Mammoth improve to 8-3 when they score ten goals, which seems to be the magic mark for Colorado. 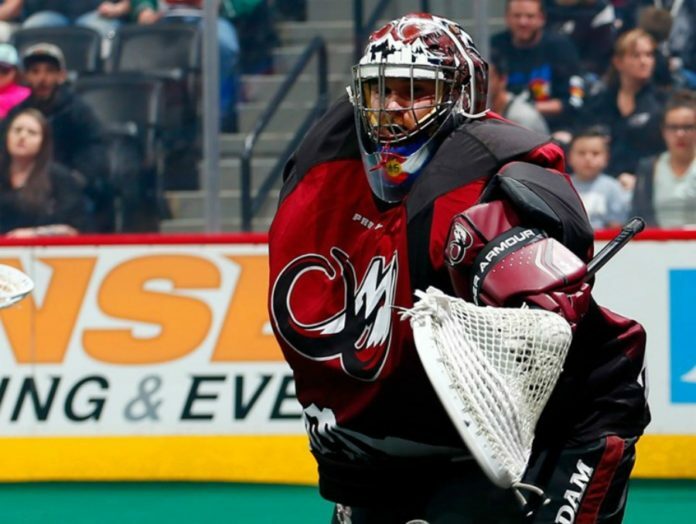 Dillon Ward made 35 saves for the Mammoth, who notch their 10th win of the season. 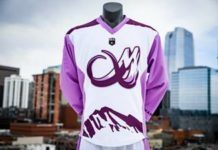 Colorado reaches the ten win mark for the second time in three years, as the Mammoth continue their pursuit for the top spot in the Western Division chasing the Saskatchewan Rush, who currently lead the division by just a game. Colorado jumped on the board, scoring the first three goals of the game as Ryan Benesch, Eli McLaughlin and Zach Greer got the scoring started in the first. Benesch would finish with two goals and four points overall. In the second quarter, Mammoth fan-favorite Jeremy Noble found the back of the net, one point in his five point night. 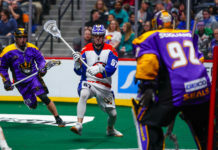 The Rock would come storming back with three-straight goals from Toronto, pulling them within one before Stephen Keogh found the back of the night before halftime. Keogh finished the game with three points, scoring two goals. Colorado would pull away in the second half, scoring five of the final six goals in the game, including Ruest’s fifth and sixth points of the game, a final two goal surge, including an empty-netter that solidified the win for the Mammoth. The Mammoth head two-hours to the southeast and back to the U.S as they play the Rochester Nighthawks (7-7) tomorrow at 7:30 EST in an important game as the playoffs near. Colorado can pull within a half-game of Saskatchewan with a win, with a match up against Saskatchewan looming on April 7th. The Mammoth with return home on April 14th when the New England Black Wolves come to Denver.